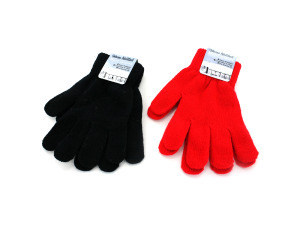 These "magic gloves" are ideal to keep on hand because they are small, but stretch to fit any hand, and therefore fit children to adults. With an elastic wristband, these are comfortable to wear. Assorted colors, black and red.